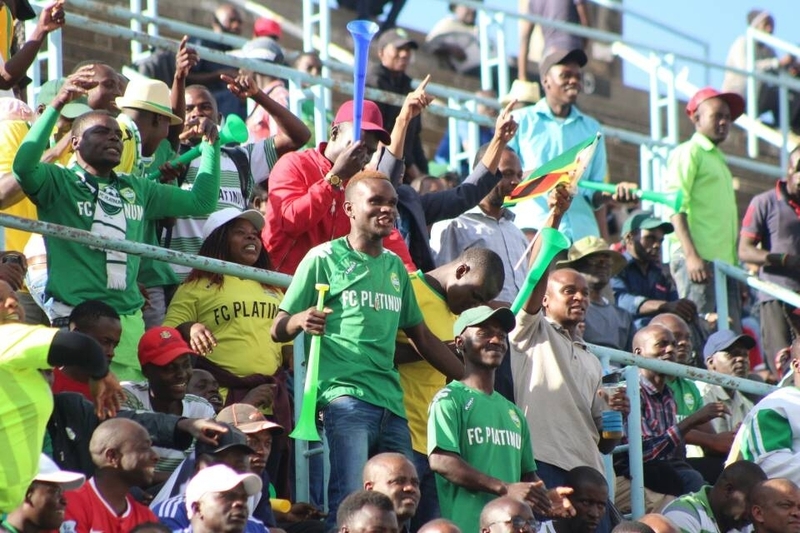 FC Platinum took a giant leap towards winning the championship after beating Chicken Inn 2-0 in a match played at Mandava Stadium on Wednesday. Pure Platinum Play moves to 71 points and now need at least a draw in their next game. Farai Madhananga and Rodwell Chinyengetere were on target for the hosts in the second half after a cagey affair in the first period. Ali Sadiki could have opened the scoring on minute 41 but his effort was denied by the woodwork. The deadlock, however, was broken on the hour after Madhananga hit a beautiful right-footer. Chinyengetere doubled the advantage seven minutes, converting from the spot after Simon Munawa had handled inside the box. The Gamecocks failed to recover and the home team picked up maximum points for the third successive time. 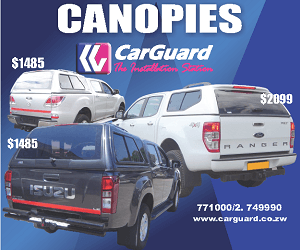 In the capital, Ngezi Platinum dropped points again when they drew 2-2 away at Harare City. Madamburo got into the lead through Walter Mukanga from the spot in the fifth minute before Kuda Musharu headed in ten minutes later to equalise for the Sunshine Boys. Tatenda Tumba found the target four minutes into the second half but the visitors equalised a few moments after the hour courtesy of Keith Murera. 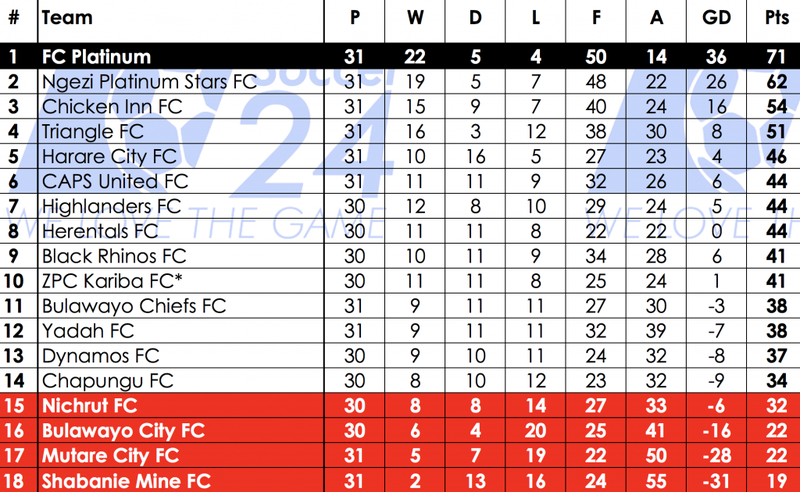 Ngezi are now nine points behind log leaders FC Platinum. Elsewhere, CAPS United suffered a defeat to Yadah, losing 2-1 in a match played at National Sports Stadium. Chiefs beat Shabanie Mine 2-0 while Triangle edged out Mutare City Rovers 1-0. Rovers are now relegated following the defeat.